Rebecca Bryan was born in Virginia on January 9, 1738, to Joseph Bryan, Sr. and Alee Linville. When she was 10, Rebecca moved with her Quaker family to the Yadkin River valley in the western Piedmont region of North Carolina. Daniel Boone was born in Pennsylvania in 1734, and his family settled near the Bryans in 1750, when Daniel was 15. 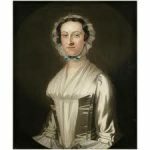 Rebecca and Daniel began their courtship in 1753, and married three years later on August 14, 1756. Their marriage lasted fifty-six years, and they had ten children – six sons and four daughters. The new Mr. and Mrs. Boone didn’t have their own cabin, so they stayed with his folks until they built their own cabin on Sugar Tree Creek. Shortly after they moved into their new home, their first child was born. 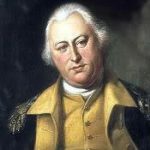 During the French and Indian War, Daniel Boone joined British Major General Edward Braddock on his march to attack Fort Duquesne, a French fortification located in present-day Pittsburgh. George Washington, then a young colonial militia leader, also joined the march. During the trip, Boone worked as a wagoner alongside a trader named John Findley who had traveled to the Native American villages in Ohio and beyond. John told Boone about a place the Native Americans called Kentucke – a hunting ground packed with deer, buffalo, bear, and turkey. As the men neared Fort Duquesne, they were overpowered and suffered huge losses. Boone grabbed a horse from his wagon team and escaped, eventually returning to North Carolina but dreaming of Kentucky. The Boones moved back on the Yadkin River in North Carolina in 1759, and Daniel bought 640 acres from his father for 50 pounds. He built Rebecca a cabin there and put in a crop of corn. Soon after, he was off west into the mountains. He’d come home and farm a bit in the spring and summer and then disappear again. In the fall he’d hunt; come winter he’d be off trapping beaver. Eventually, John Findley sought Daniel Boone out and asked him to accompany him on a trip to Kentucky. Joined by four others, they set out in 1769 and crossed through the Appalachian Mountains via Cumberland Gap. Few white men had dared to cross the mountains. The men built a base camp, and spent several months hunting and exploring the great wilderness. The Shawnee Indians captured Boone’s hunting party several months into the expedition. They claimed the area as their hunting ground, and believed anything caught there belonged to them. 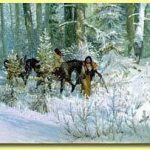 The Shawnee took the men’s supplies and deerskins. Boone escaped and finally returned home in March 1771, penniless and empty-handed. A skilled woodsman, crack shot, and tireless traveler, Daniel Boone journeyed into Kentucky for long periods of time, hunted, then brought back the furs to trade. This often left Rebecca and the ten children she had between 1757 and 1781 behind. She was adept at surviving on her own, and the solid foundation the family relied on for their survival. Then Daniel decided to sell his farm and take his family into the wilderness – and Rebecca was willing. On September 25, 1773, Daniel set out with his own family and five others and Rebecca’s brothers, who preferred to leave their families at home until a settlement had been started. Their belongings were transported on horseback because the Cumberland Gap wasn’t yet wide enough for wagon crossings. They were intercepted by Shawnee in an attack that resulted in the death of Boone’s oldest son, James. The party was forced to retreat to the Clinch River in North Carolina, which was the Boones’ next home. They stayed there for almost two years. During that time Rebecca’s uncle, James Bryan, showed up on their doorstep one day, and his news was not good. His wife had died and there he was with six children to care for, ranging in age from six to sixteen. Rebecca told James to bring the children in to live with her and Daniel. Soon thereafter, the Boones’ ninth child was born. In 1775, a friend hired Boone to cut a path into Kentucky for a new settlement on land purchased from the Cherokee. Boone led about thirty axmen through the wilderness to clear a path, which eventually became a route to the new frontier and was called the Wilderness Road. 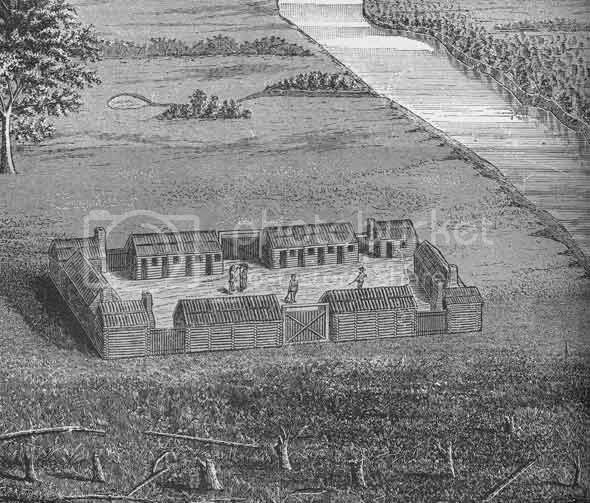 When the group reached the Kentucky River, they built a fort and called it Boonesboro, and other settlers followed. Because Boonesboro was situated in a remote area at the edge of the frontier, settlers fortified the village with a high-fenced wall. Native Americans frequently attacked Boonesboro, hoping to drive the settlers back east. On Sunday, July 14, 1776, Jemima Boone and her two friends, Elizabeth and Frances Callaway, were canoeing on the Kentucky River when they were captured by a small party of Cherokee and Shawnee men. The settlement of Boonesboro was greatly alarmed and sent out a rescue party organized by Daniel Boone. After three days of searching, they found Jemima and the Callaway girls across the Ohio River. 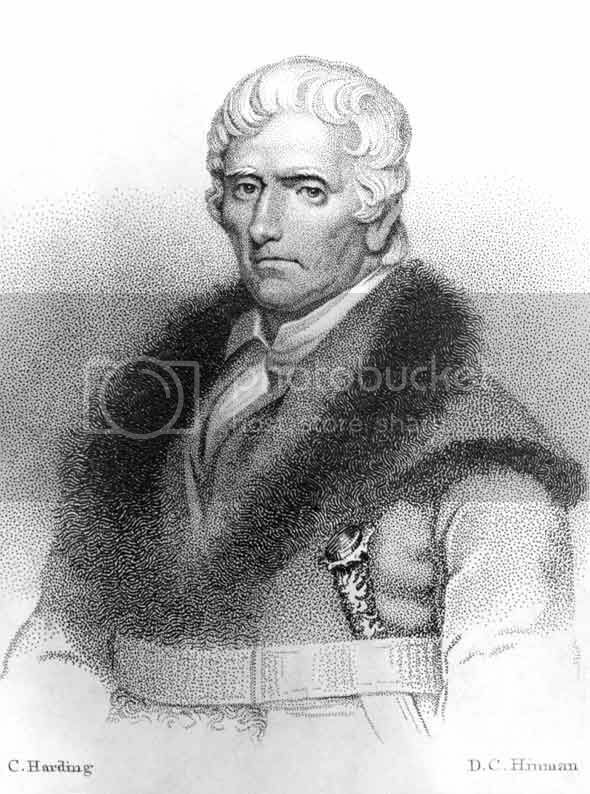 Daniel Boone himself was captured by the Shawnee in 1778. Impressed with his scouting and hunting skills, the Shawnee chief adopted Daniel as one of his own. He lived among the Shawnee for four months before escaping and returning to Boonesboro. John Filson’s 1784 publication, The Adventures of Colonel Daniel Boone made Boone a legend in his own time, although Filson stretched the truth in many instances, trying to make Boone’s adventures sound even more fascinating. After the publication of Filson’s book folks started asking Daniel to locate, survey, and stake out tracts of land for them in Kentucky. He obliged them and set the price for his services at one half of the land he surveyed. By 1788, Rebecca’s husband owned some 50,000 acres of prime Kentucky land. Whether or not Daniel realized it, he often surveyed land that had previous claims on it. He also had a tendency to put off establishing legal title to the land, and others might have used this delay to establish title for themselves on lands he had surveyed. As a result, thousands of acres were lost by his customers, which meant Daniel’s portions were lost, too. It wasn’t long before people started to regard this honest backwoodsman as a fraud, and the lawsuits began. Daniel started selling off his own land to pay people back, but discovered that he didn’t always have clear title to it. In 1792, Kentucky was admitted into the Union as the 15th state. Litigation arose that questioned many settlers’ title to their lands. The Boones eventually lost all their property in Kentucky due to title errors or to pay off debts. In 1799, Daniel Boone led his family and other settlers across the Mississippi River into Spanish-held Missouri, which was called Upper Louisiana. Spanish authorities were eager to have settlers in the area, and granted Boone 850 acres in the Femme Osage District of what is now Missouri. Daniel built a canoe from a six-foot poplar tree so he could move some household items by river, and made the journey with his wife, two of his daughters and their husbands, and son Daniel Morgan Boone. Several other Kentucky families came, and son Nathan Boone soon followed. By the following winter, Rebecca, Daniel, and various others of their extended family were settled on tracts of land on the lower Missouri River, which totaled thousands of acres. Best of all for Daniel, there was a whole new stretch of wilderness for him to explore. Daniel he was made a commandant, or syndic, in that area. As a syndic, he settled disputes that arose among the settlers. He became famous for holding court under a large tree on his son Nathan’s land. This tree came to be known as the Judgment Tree. The Boones were doing well in Missouri, until the Louisiana Purchase. In 1804, they again lost their land claims after Spain transferred the territory to France, which in turn sold it to the United States. The Boones remained in the area, living on land family members had secured. Their claim to another tract of land was confirmed by Congress in 1812, in consideration of Daniel’s services. Rebecca had moved many times during her lifetime. 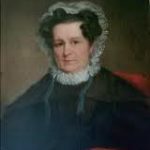 She had created numerous homes in North Carolina, Virginia, Kentucky, and finally Missouri where she spent the last fourteen years of her life. Rebecca Bryan Boone died on March 18, 1813, at the age of 75. She was buried at the Boone-Bryan family cemetery in the Marthasville area overlooking the Missouri River. In 1815, Nathan Boone was discharged from the Missouri Rangers and moved back into his log home at Femme Osage, and started building a large stone structure that represented his rising status in the community. The walls were built of native blue limestone that were two and a half feet thick. He used oxen to drag the large chunks of limestone to his property. Daniel Boone helped oversee the construction, and is said to have carved the walnut mantelpieces for the seven fireplaces. The house also includes black walnut beams and oak floorboards, and a ballroom on the top level. Though it is often referred to as the Daniel Boone Home, but it was actually Nathan’s home. Daniel Boone lived in the home from time to time, and spent his final moments there. Daniel Boone died at Nathan Boone’s home in Defiance, Missouri, on September 26, 1820, the age of 86 – a remarkably old age for the times. He was buried beside his loving wife.